For the next few weeks, I’ll be learning to use THE Dream Machine 2 by Brother and I invite you to join me on the journey. Be sure to check out the QUILTsocial posts from August 28 – September 1, 2017 by my fellow blogger, Christine Baker. She did an amazing job highlighting many of the sewing features of this great machine. This week I’ll be introducing you to some of the embroidery features of THE Dream Machine 2. I have never used an embroidery machine before, and I must admit I was a bit intimidated when I saw this model and all its many parts and attachments. But using the very detailed Brother Operation Manual (1 of 6 that comes with the machine), I was able to set up everything, including the embroidery unit, with no problem at all. You can see by all the sticky notes that I attached to the manual that I’ve been using it a lot! 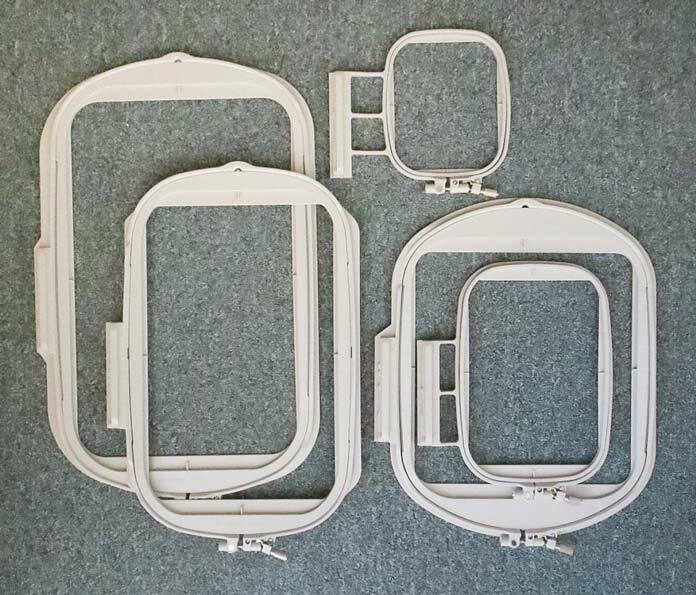 The embroidery unit is a separate piece that you slide onto the machine after removing the flat bed attachment. It just clicks into place. You can still do regular sewing with the embroidery unit attached. Just make sure that you don’t have anything too heavy (like a big quilt!) resting on the embroidery unit. The embroidery foot is quite unique. You attach it to the machine just like the other feet, but it also has a connector that plugs into a jack on the back of the machine. This feature allows you to use the LED pointer. 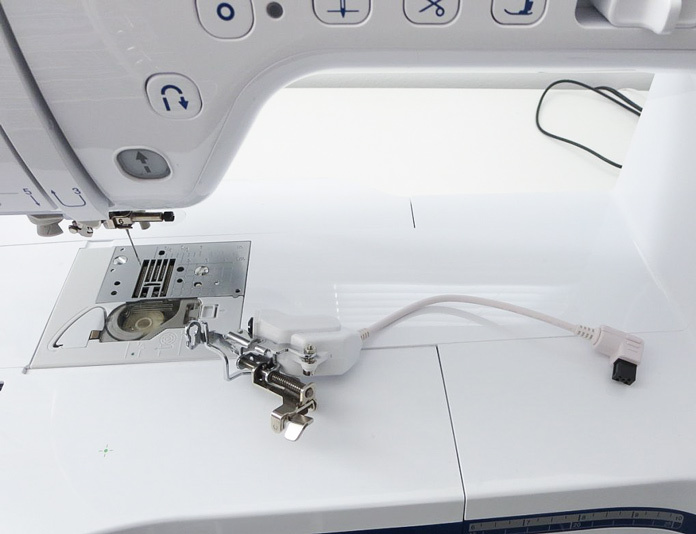 Christine explained this feature in her August 30 post for general sewing and I’ll show you how to use it when using the machine for embroidery. There are 5 different hoops that come with THE Dream Machine 2, ranging in size from 14″ x 9½” to 4″ x 4″. 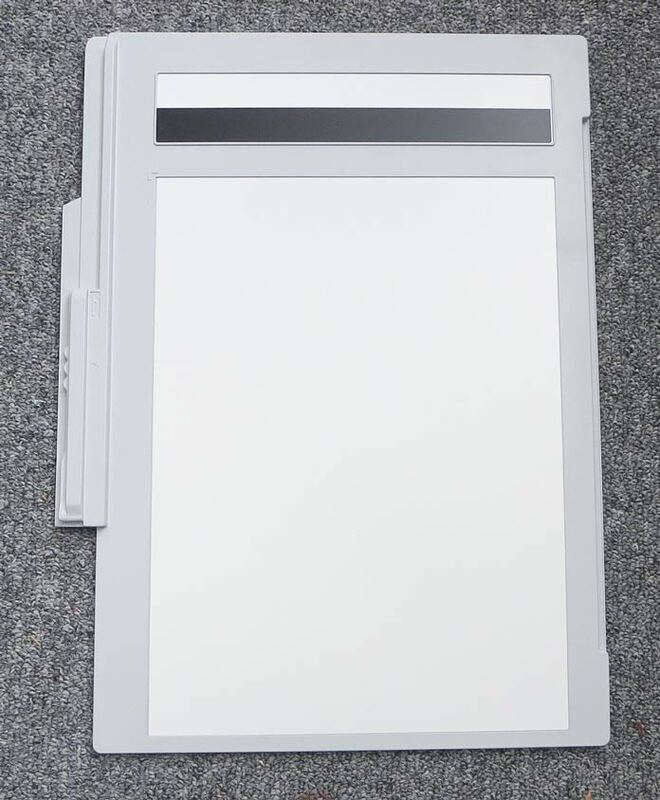 There’s also a scanning frame that you can use to scan your own drawings and then convert them to embroidery designs. This is going to be an exciting adventure! A spool of bobbin thread, some small scissors and a roll of stabilizer are included with the accessories so you can start with the embroidery right away. I love the little pointy blades on those scissors! 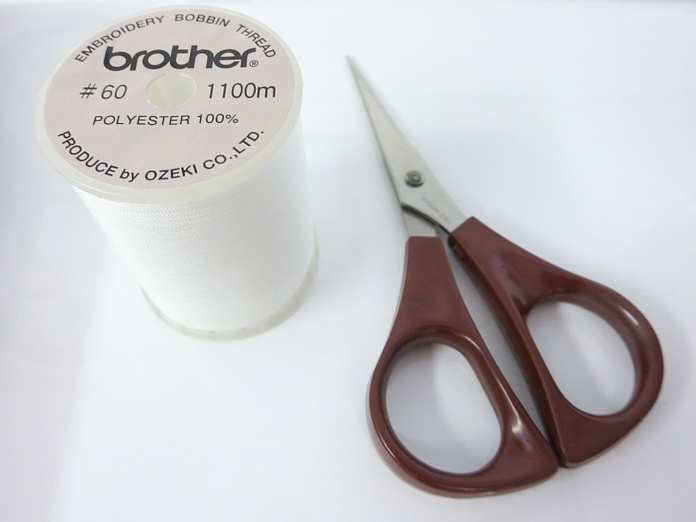 Brother bobbin thread and small scissors come with the machine. 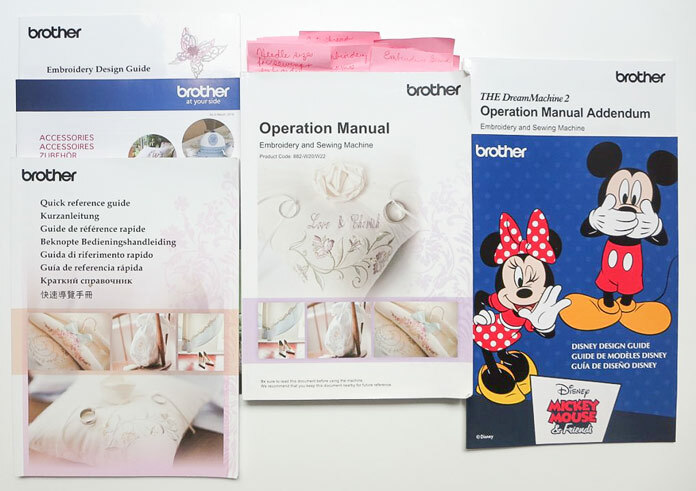 There are dozens of embroidery designs that are stored in the machine including a special section with Disney designs. Please remember that all of these designs are copyright protected and are intended for personal use only. Many of the designs can be re-sized, rotated, re-colored and moved, but more about those features later this week. 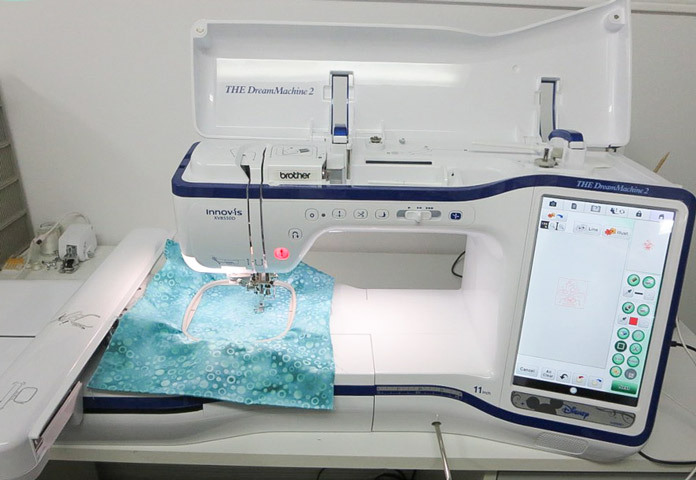 When using THE Dream Machine 2 for embroidery, it’s essential that you use stabilizer under the fabric. There are many types of stabilizers and which one you choose depends on the project you are making. Be sure to come back tomorrow and I’ll give you some more information on the basics of stabilizers and threads for THE Dream Machine 2 by Brother!